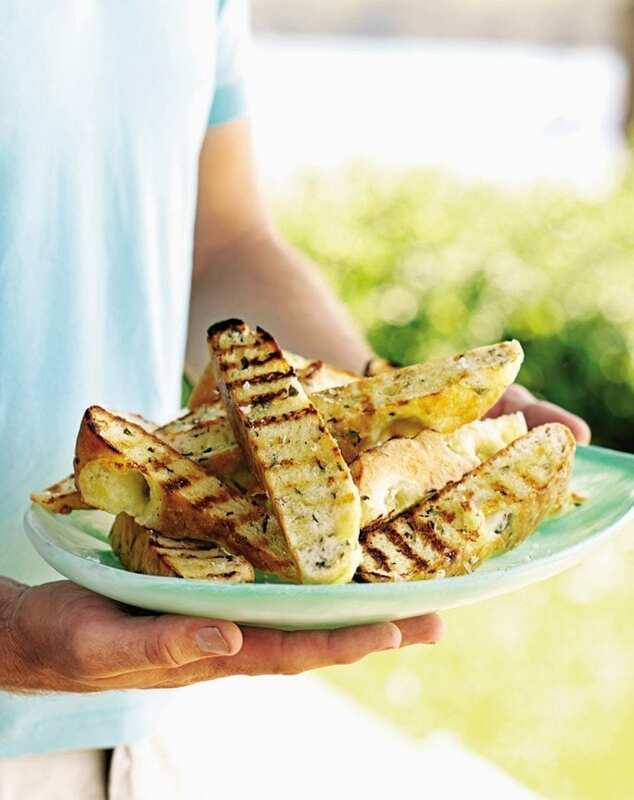 Give your barbecue a lift with these basil and mozzarella focaccia fingers. They’re easy to make and suitable for veggies too. Preheat the oven to 220°C/fan200°C/gas 7. Tip the dough mix into a large bowl along with the olive oil, half of the cheese and all the basil. Make up the dough according to the packet instructions, then knead on a floured surface for a good 5 minutes. Roll out the dough to make a 2cm-thick oval. Transfer to a baking tray and leave to rise for 15 minutes. Push the remaining cheese into the dough, then bake for 20-25 minutes, until risen and golden. Cool. Slice and toast on the barbecue to serve. Focaccia normally has a soft crust. Once the bread comes out of the oven, cover with foil and leave to cool – the steam created softens the crust.